I feel like it's gonna be an American Dreamer night if I can dig up our copy. Have you seen this documentary about Dennis Hopper? 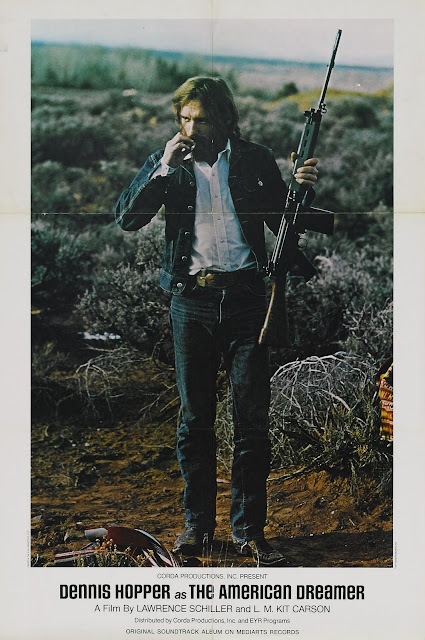 It was shot in 1971, mostly at his ranch in New Mexico, while he works on his film, The Last Movie. He rambles, shoots guns, and takes baths with ladies. As you would. It took me awhile to track it down and what we ended up with is bootleg of questionable quality labeled, "The American Dramer" but I just saw that you can watch it in it's entirety on youtube. The soundtrack is worth tracking down, too.